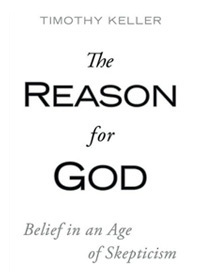 I often write about young-Earth creationism (YEC), which I believe to Biblically unnecessary and scientifically unworkable. 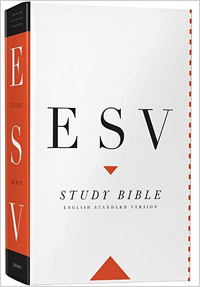 Because of these things, I believe that YEC is an unfortunate obstacle to both evangelism and effective discipleship, especially of our youth. But I do not want The GeoChristian to be known primarily as a blog about origins issues, as there are many other areas in which Christian faith and the Earth sciences interact, such as environmental issues, energy policy, aesthetics, and natural resources. I have an M.S. degree in Geology from Washington State University, and a B.S. degree in Earth Sciences from Montana State University. I have worked as a senior cartographer, geospatial analyst, natural resources specialist, high school and middle school science teacher in Christian schools; and missionary. You can read more about my background at https://geochristian.com/more-about-the-author/. I am the author of Earth Science: God’s World, Our Home, a new middle school textbook for Christian students from Novare Science and Math. 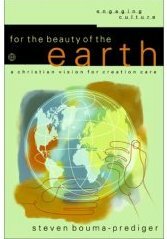 This book fills a critical niche in the Christian school market, providing a curriculum that is faithful to God’s Word yet doesn’t promote the young-Earth creationism and anti-environmentalism that is prevalent in materials from Christian school publishers. Whether you are a Christian or non-Christian, scientist or non-scientist, creationist or evolutionist (or somewhere in between), I hope you find something that blesses you and points you to Christ through The GeoChristian. This is the third in a series of articles about a young-Earth creationism (YEC) conference held in Bozeman, Montana in April, 2016. 2. 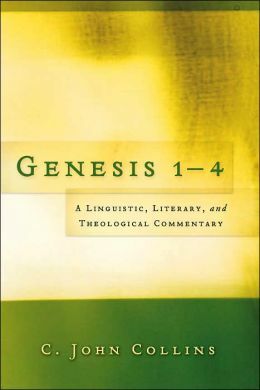 Does Genesis Really Matter? 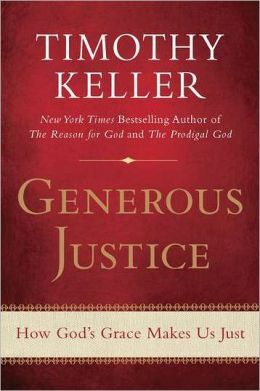 – Yes Genesis does matter, whether a Christian believes in a young Earth or an old Earth. 4. Coming in the future – Ice ages, seafloor sediments, dinosaur bones, and more. This is a true statement. All truth is God’s truth, including the truths revealed in the creation. If radiometric dating works—and I believe it reveals accurate dates most of the time—Christians should not be intimidated. Geologists have known for a long time that the isotope geochemistry of Earth is complex, and that radiometric dating does not always return what is considered to be a geologically-valid result, but there is no reason for old-Earth Christians to be intimidated by discrepant dates. It turns out that “wrong” radiometric dates are often helpful, and provide additional insights into geologic history. Before going into Dr. Hebert’s arguments, it is important to emphasize that geologists do not believe that our planet is many millions of year old because of radiometric dating. 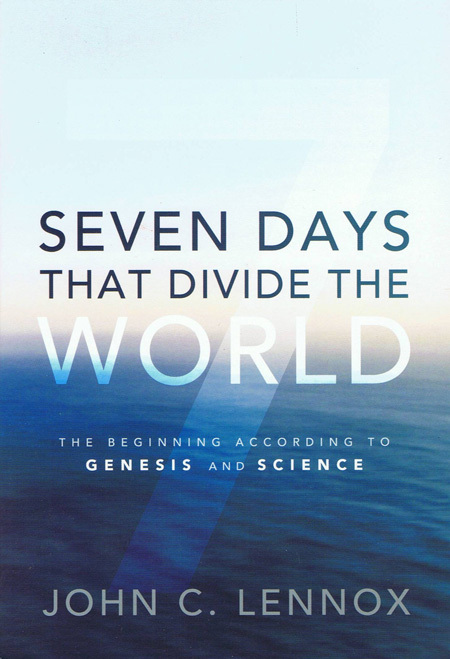 Young-Earth creationists regularly attack radiometric dating techniques, thinking that if they discredit these methods they will undermine the idea of an ancient Earth, but this is not the case. Most scientists who investigated Earth history in the late 1700s and early 1800s came to the conclusion that Earth must be far older than just a few thousand years. This was long before the discovery of radioactivity in the 1890s or the development of radiometric dating techniques in the 1900s. Most of these early geologists were Christians of one sort or another, and a number of them were quite orthodox in their theology. These early geologists—along with modern geologists—observed a rock record that tells a story. That story includes chapters that speak of processes that require lengthy periods of time, such as the cooling and crystallization of magma to form igneous rocks, weathering of rocks to produce ancient soils (paleosols) and unconformities; growth of fossil reef organisms (as well as other complete fossilized ecosystems), and transformation of rocks by metamorphic processes. Volcanoes are complex features representing numerous eruptions, coral reefs do not grow in just a few days (especially in muddy floodwaters), and many metamorphic processes involve the extremely slow diffusion of ions through solid crystalline structures. Geologists assemble the details of Earth history by the application of principles that are rooted in Christian thought: the universe is real and not an illusion, the universe is understandable, and the universe is governed by laws. Without the various radiometric dating methods, geologists would still believe Earth is ancient. What radiometric dating does is give geologists discrete ages to assign to many events in Earth’s long history, something that would be impossible to do using other techniques. YECs like to point to instances where radiometric dating doesn’t work. Geologists know that radiometric dating sometimes gives unexpected or conflicting results, so this is nothing new. What YECs don’t tell you is that radiometric dating usually does work, and that it usually gives results that are consistent with standard geological interpretations of Earth history. Non-radioisotopic YEC arguments for a young Earth, such as erosion rates, sedimentation rates, or the strength of Earth’s magnetic field, are generally based on distortions or misapplications of the principle of uniformitarianism. Why use processes that have variable rates rather than a process (radioactivity) that has been observed to occur at a highly regular rate? 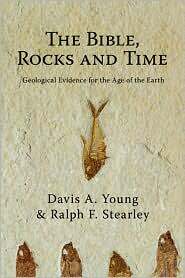 In addition, most of YECs arguments for the age of the Earth still yield dates that are in millions of years, not just a few thousands of years. The results of the largest YEC investigation into radiometric dating—the RATE project (for Radioisotopes and the Age of The Earth)—actually confirm that radiometric dating is built on a firm scientific foundation. The YECs still like to point to oddities such as carbon-14 in coal (which is explainable in an old-Earth framework), but overall they acknowledge that a vast amount of radioactive decay has occurred in Earth history, that radiometric dates are usually consistent with standard interpretations of Earth history, and that geoscientists have valid means of determining whether or not parent or daughter isotopes have been added or removed from samples. The only thing left to YECs, in many cases, is the idea that the rate of radioactive decay was greatly accelerated at one or more times in Earth’s history, such as during Noah’s flood. There are a number of problems with this hypothesis, such as the amount of heat that would have been released by this million-fold increase in decay. Dr. Hebert mentioned a few commonly-used YEC examples of radiometric dates which do not conform to reasonable old-Earth interpretations. One of these was the study done in the 1990s by Steven Austin of the Institute for Creation Research, in which ICR submitted samples from the 1986 dacite lava dome eruption of Mt. St. Helens to a laboratory for potassium-argon dating. The resultant dates for mineral and whole-rock samples ranged from 0.34 to 2.8 million years old, even though the dacite was a product of an eruption that occurred in 1986. The YEC reasoning on this is that if radiometric dating cannot yield a “common sense” date on a sample of known age, how can scientists trust it for dating any rocks? This experiment by ICR was set up to fail from the beginning. K-Ar dating is not expected to work on samples that formed only a few years ago. The half-life of potassium-40 is 1.25 billion years. The amount of radiogenic argon-40 produced from potassium-40 in only a few years is miniscule, and so in general, standard K-Ar dating is not recommended for samples believed to be less than 2 million years old, as there is a risk of contamination from residual argon from previous samples. This problem in itself is sufficient to lead one to be skeptical of this YEC claim. Additional problems abound, such as the presence of xenocrysts (crystals that appear to be derived from the walls of the magma chamber or other sub-volcanic conduits rather than crystallizing from the magma itself), zoned crystals (which indicate that mineral grains crystallized in stages in the magma chamber), and presence of volcanic glass in the samples (which would have trapped much of any argon-40 that was dissolved in the magma). Dr. Hebert stated that most other means of determining the age of the Earth, such as the rates of accumulation of various salts in Earth’s oceans and the decay of the strength of Earth’s magnetic field, give ages much younger than billions of years. Why would one think that processes with highly variable rates, such as erosion of continents or addition of various salts to seawater, would be more reliable geochronometers than a process with known rates, such as radiometric dating (I will address the issue of constant decay rates later)? Dr. Hebert used a distorted definition of uniformitarianism in his presentation. I know of no modern geologists who would say that either erosion or sedimentation occurs at a constant rate. This goes for a large number of geological processes. Many have critiqued YEC seawater arguments. I have written about seawater as well: Aluminum and the 100-year old oceans and The YEC “salty seawater” argument — not worth a grain of salt. There is also no clear evidence that I know of that the oceans are becoming more saline over time. The old YEC argument about Earth’s “decaying” magnetic field has no merit. YECs will point to the decreasing strength of Earth’s magnetic field over the past few hundred years and claim that if this trend were extrapolated back tens of thousands of years, the magnetic field would be so strong that Earth would be uninhabitable. But they have no compelling reason (other than their YEC beliefs) to plot their magnetic field strength points on an exponential decay curve. Given the fact that we know that the polarity of Earth’s magnetic field is highly variable, it is also likely that the strength of Earth’s magnetic field is also variable, and that what we have seen over the past few centuries is just variations of a cycle. We cannot go back in time and directly measure the strength of Earth’s magnetic field, but proxies (substitutes) which are measurable indicate that the intensity of the field varies rather than decays over time (see Earth’s Magnetic Field Strength – Past 800,000 Years). I cannot think of a single geological process that unambiguously points to an Earth that is only 6000 years old. I also cannot think of a single geological process that is inconsistent with an Earth that is many millions of years old. This is the “problem” of discordant ages. Dr. Hebert emphasized two examples of discordancy: helium diffusion from zircon and radiocarbon dating of materials believed to be millions of years old. ICR’s Radioisotopes and the Age of The Earth (RATE) program studied zircon mineral grains from a geothermal well in New Mexico. The rocks have been dated at around 1.5 billion years, while the RATE team determined a helium diffusion (outgassing) age of only 6,000 years. A good critique of the RATE helium diffusion dates is given at Helium Diffusion in Zircon: Flaws in a Young-Earth Argument, Part 1 (of 2). To summarize, the YEC team used the present high rate of heat flow in this geothermal field and applied this to the entire thermal history of the area, rather than a thermal history model that takes into account the fact that these rocks have been much cooler for most of their history. Warm mineral grains lose helium much more rapidly than cool grains do. This is another example of YECs using a distorted version of uniformitarianism (by extending the present blindly into the past) as the foundation for their young-Earth arguments. In addition, the RATE team used an overly-simple model for helium diffusion from zircons rather than a more realistic model that takes into account defects in the crystal structure. All of this biased the results in favor of a younger Earth. Dr. Hebert stated that radiocarbon dating assumes the same ratio of carbon-14 (radiocarbon) in the atmosphere for thousands of years. I was really surprised that he said this; perhaps my notes are wrong. Geochronologists have known for a number of years that the amount of carbon-14 in the atmosphere is somewhat variable, so radiocarbon dates are calibrated based on radiocarbon dates from archeological or biological samples (such as tree rings) of known age. Dr. Hebert stated that there should be no carbon-14 in samples over 100,000 years old. He then stated that carbon-14 has been found in coal, dinosaur bones, diamonds, and petroleum, all of which are believed to be millions of years old. It is true that any traces of original carbon-14 in a sample should be gone after 100,000 years. But there are a number of perfectly reasonable ways for more recently-formed carbon-14 to be present in ancient deposits. One is by groundwater contamination, which brings atmospheric carbon-14 into underground systems. This would be particularly effective at bringing carbon-14 into coal. Another mechanism is naturally-induced nuclear reactions, in which neutrons (mostly from uranium and thorium) react with nitrogen-14 already in the samples to produce carbon-14. But the most likely source for carbon-14 in these samples is laboratory contamination. Most of the carbon-14 detected in YEC experiments has been at levels that push the limits of detection. It is impossible to completely clear mass spectrometers and other laboratory equipment of residues from previous analyses, and so chances are, virtually any sample analyzed will register at least some miniscule trace of carbon-14 whether or not there was any actual carbon-14 in the sample. No starting daughter isotope present. Neither parent nor daughter isotope can be added or taken away. Decay rate must be constant. The first of these is true for some radiometric techniques, but not for all. In many cases, we know that there was some of the daughter isotope present in the sample when it formed. This is not a problem for either isochron dating (commonly used with Rb-Sr dating) or U-Th-Pb dating, which uses concordia diagrams. In both of these cases, the mathematics of the technique reveals the amount of daughter element that was present when the sample formed. If you disagree, then your problem is with math, not with geology. The second condition must be fulfilled in order to determine an accurate radiometric date. Geochronologists will generally avoid samples that have obviously been altered since formation, as these are likely to have experienced gain or loss of either the parent or daughter nuclide. Instead, they know that it is best to analyze samples that appear fresh, unaltered, and unweathered. For isochron techniques, the graphs produced by the analyses will usually reveal whether any parent or daughter elements have been added or removed. Hyperphysics gives a good summary of isochron dating techniques. The third condition—constant decay rates—must also be true in order for radiometric dating to work. YECs have spent much effort trying to demonstrate that radioactive decay has greatly accelerated in the past, and have thus far been unsuccessful. They also tend to dismiss the critique that their million-fold increase in radioactive decay during Noah’s flood would have irradiated all life on Earth, including everything on Noah’s Ark, and would have released enough heat to vaporize Earth’s oceans, and then some. Ar) for the subsequent heating event. The scientist just has to be smarter than the rocks. The YEC criticism here is that geologists will throw out radiometric dates that do not meet their preconceived notions about how old a rock is. Dr. Hebert gave several examples of this. My response is that it is valid to weigh or prioritize various contradictory evidences, rather than throwing out what you know from a long list of reasons just because of one discrepant result. If geoscientists consistently got inconsistent results from radiometric dating, they would never use it. But radiometric dating usually gives results that are consistent with the order of events in Earth history that geologists have reconstructed over the past 200 years. Precambrian rocks usually have Precambrian radiometric dates, Paleozoic rocks usually have Paleozoic radiometric dates, and Pleistocene materials usually have Pleistocene radiometric dates. When “goofy” results come back from the radioisotope lab, geologists do not just throw up their arms and give up on the techniques. Nor do they throw out the geologic history of an area that is based on multiple investigations. Sometimes the discrepant result will lead to a better understanding of geologic history. At other times the discrepant result will remain a mystery, perhaps to be solved by the next generation of geoscientists. That is how science often works in a complex world. A tremendous amount of radioactive decay has occurred in rocks during Earth history. The first two assumptions of radiometric dating are usually satisfied in geologic settings, and that it is often possible to recognize when this is not the case. Most radiometric dates are consistent with the order of events that both YEC scientists and old-Earth geologists agree on. Radiometric dates of Precambrian rocks are usually older than radiometric dates of Paleozoic rocks, which are usually older than radiometric dates of Mesozoic rocks, which are usually older than radiometric dates of Cenozoic rocks. Despite YECs continuing to point to discordant or discrepant dates, these are the exceptions rather than the rule. RATE is an admission that radiometric dating works. The only thing left for YECs to cling to is accelerated nuclear decay. And their only remaining argument for the actual occurrence of accelerated nuclear decay in Earth history is that it is the only way for them to compress the clear evidence for past nuclear decay into their young-Earth timespan. Radiometric dating is based on chemistry and physics, not evolution, naturalism, or even belief in an old Earth. There are no reasons for Christians to be intimidated by radiometric dating. I interacted a little bit with Dr. Hebert between sessions. He is a bright, articulate individual, and was respectful of me as an old-Earth Christian. My analysis is based on handwritten notes I took during the meetings. There is always the chance that I mis-heard or misunderstood the speaker, or mis-wrote my notes. If this is the case, I apologize in advance to the speakers. For a much more thorough presentation of radiometric dating, see Radiometric Dating: A Christian Perspective, by Roger Wiens. Dr. Hebert usually used the term “radioisotope dating” rather than “radiometric dating.” They are synonymous terms. YECs are very hesitant to state that “All truth is God’s truth.” This YEC denial that all truth is God’s truth, whether revealed in Scripture or in the creation, is a denial that creation is real rather than an illusion, and has much in common with both Gnosticism and postmodernism. Dacite (e.g. from Mt. St. Helens) is a volcanic rock intermediate in composition between rhyolite and andesite. Dr. Hebert illustrated the conditions necessary for radiometric dating to work by describing someone peeling potatoes. If you walked in on someone peeling potatoes, could you determine how long ago they started peeling potatoes based on the amount of potatoes peeled and the rate at which they were presently being peeled?